This is a few weeks old, but I never posted it up. Just ran across it again. An exploded VR38DETT - edit - I didn't look at the picture too closely. 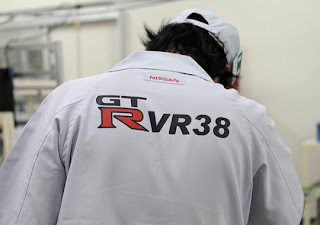 Thats not a VR38..
Wrong picture in that Automobile article. Not literally exploded. Build VR38's and get this cool shirt. That is a 4 cylinder. Thanks for pointing it out. I didn't actually look at the picture too closely.